Animals In Distress (A.I.D.) hasn't added a story. 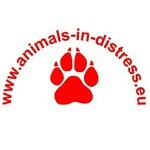 My name is Jose Safont Ruiz and I am the president of the animal rescue charity Animals In Distress (A.I.D.) based in Malaga, Spain. We have taken on some land and a buildings so we can shelter more rescued dogs, because the situation out here is desperate. The dogs will have someone there 24/7 living in the second hand caravan that we will hopefully be able to purchase via the funds donated as well as laying down gravel areas, erecting sheltered areas and more. So we need everyone's help to get this project off the ground and running as from 1.01.2017. Our charity does not have any paying members and we are classified as ‘Animos sin lucro’, which an exact translation would be ‘intentions without profit’ in other words all the funds raised are used for helping the animals and no one in the charity gets a salary. Thank you for your support. Animals In Distress (A.I.D.) hasn't posted any updates yet. Animals In Distress (A.I.D.) is managing the funds for this campaign.